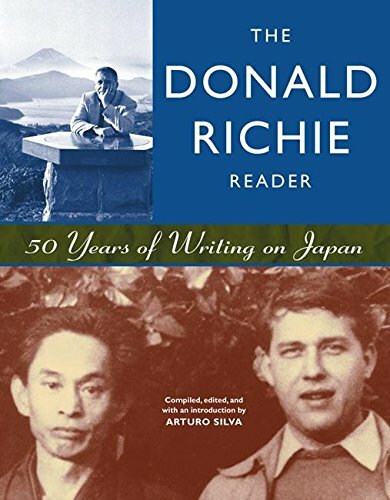 Critic Donald Richie doesn't quite have such an angry agenda in his new anthology "The Donald Richie Reader: 50 Years of Writing on Japan" (Stone Bridge Press, $19.95, Paperback). In fact, it contains more than just film writing. These essays on Japan's culture are filled with a beautiful serenity and a measured passion -- the work of a man who has found his place in life. Richie tells his own love story with the Japanese cinema and how he came to start writing about it. The book includes interviews with such legends as Toshiro Mifune, and excerpts from Richie's books on directors Akira Kurosawa and Yasujiro Ozu. "The Donald Richie Reader" is a book that won't soon gather any dust on my shelf.